I began working before I was 10 years old, mowing lawns for neighbors and helping with paper routes. As soon as I turned 14, I began working at Lunds Grocery, busing after school and working every weekend. I've been hard at work ever since! For the past eight years, I have worked for Target headquarters. I have been promoted several times and honored with several awards for my work as an innovator and environmental advocate. I have worked in several departments, from the analytics team to the technology innovation and proof of concept team. I also work part-time for an educational non-profit, having built a website that empowers teachers by helping them identify the best multimedia curriculum and then streaming it into their classroom. While employed full-time at Target, I also earned a degree in Communications with a 4.0 GPA. One of the busiest weeks of my life was graduating college, starting a new position at Target, closing on my first house, and guiding a bill through the State Senate! Besides being extremely active in the community as President of Longfellow Community Council, I have worked on several business ventures and other large projects. I love the process of learning something new and coming up with creative solutions. My single-mother raised me with a sense of duty and service which has resulted in my strong history of volunteerism, civic participation, and leadership. I have had experience working as a campaign adviser in 2006 for a national congressional race. 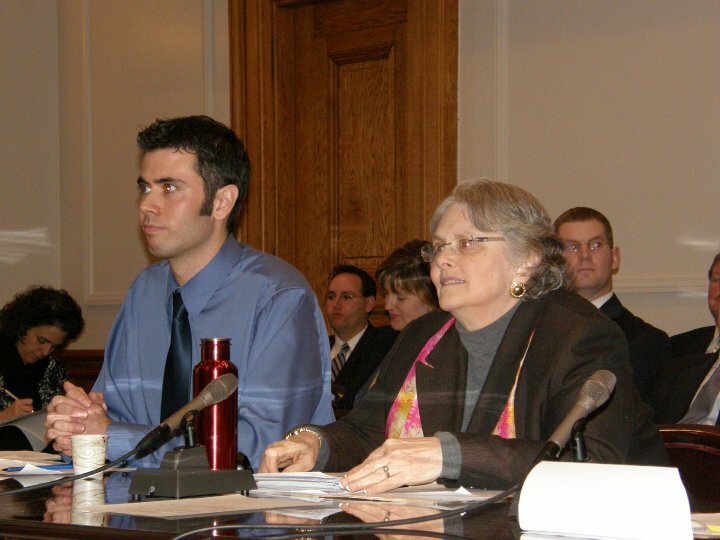 In 2009, I worked with State Senator Linda Berglin to introduce a bill that would curb plastic bag consumption, which I testified on behalf of before two Senate committees and lobbied to secure the endorsement of several large organizations. One of my proudest moments was in 2010, when I created a website that provided taxpayers with a personalized receipt, allowing them to explore the federal budget in a meaningful and relatable way, even being able to drill down into expenses. The website immediately became popular, receiving more than 250,000 visitors in its first 24 hours along with national press coverage. I was contacted by Google to partner with them on advancing the concept, and President Obama mentioned in his 2011 State of the Union speech that the federal government would be unveiling a website based on the concept. In 2011, I also worked to organize dozens of active citizens to help pass the "Surly" bill, which has resulted in the emergence of many local breweries and brew pubs. For fun, I like to rock climb, take my dog (Rosie) to the Minnehaha off-leash area, bicycle around our great trails, read (mostly non-fiction), play board games, and spend time with friends. I like to cook healthy meals, especially for others. I garden and enjoy brewing beer. Since 2005, I have been a volunteer with Three Rivers Park District and among my favorite activities is teaching kids how to tap trees for maple syrup each spring. Nature is very important to me as is taking time to meditate and reflect on life.